2008 / Spobs Music Inc. 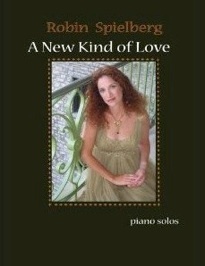 The companion songbook for Robin Spielberg’s 2008 CD release, A New Kind of Love, is an exciting addition to any pianist’s music library! The music was transcribed by pianist/composer Michael Dulin and edited by Kathy Parsons (me!). 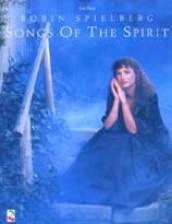 I have been teaching from Robin’s songbooks for many years, love playing her music, and know it well. While being sure that the music is note-for-note as Robin plays it, we also wanted to be sure it is clear and easy to understand for players of an upper-intermediate to fairly-advanced level. Robin is an incredible pianist, so players of modest skills might have to work a little harder to master some of these pieces, but it will really be worth the effort! The book contains fifteen pieces from the album - all but the two Korean songs that Robin arranged. The pieces range from slow to quite lively, and most are about four pages long. A big plus is that the book is spiral-bound! 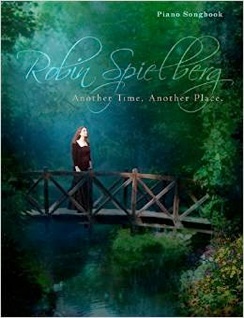 Order your copy or copies for gifts from robinspielberg.com. You won’t be disappointed!